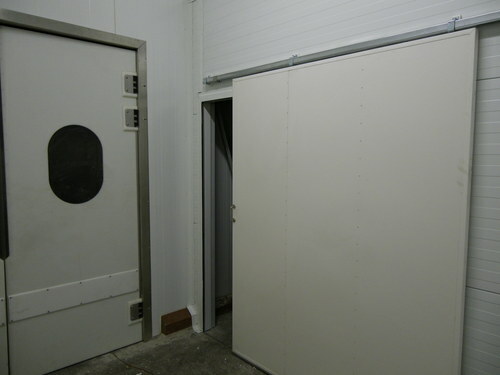 Sliding doors are simple glued plates, covered with 1 mm thick steel and insulated with 50-60 mm thick rockwool. Adding of vision panel is possible. Used locks are for instance Assa or Abloy latches with rounded edge.